Do you ever wish you could find the motivation to stick with a foreign language learning program? Is it even possible? Deciding to learn a foreign language is a lot easier than trying to learn one. The motivation can fade fast as you struggle through the growing challenges of learning a new language. The amount of people who often give up while trying to learn a foreign language shows that staying motivated is a problem for many people. Not all is lost, however. If you’re one of the millions of people trying to learn a foreign language, there are plenty of steps you can take to make sure you stay motivated along the way. Make sure you have the right focus when you decide to learn a foreign language. It’s impressive to be able to talk in another tongue, for sure. But is that enough to keep you coming back for the hours and hours of practice you’ll need to be successful? There are a lot of reasons why learning a second language will benefit you. However, are you choosing the right ones? Instead of focusing on how learning a foreign language will look to others, look at how it will benefit you. Pick specific goals that will push your progress. And every time you return to your grammar book or your language lesson, trying to figure out remind yourself of those reasons. It will inspire you to keep pushing forward. How you talk about your language learning success is huge for continued wins when it comes to language learning. If you’re trying to figure out how to learn Spanish for example, as you progress deeper into lessons, instead of focusing on the negatives, focus on the positives. The words you use matter. Don’t say, “I can only count to 10.” Say, “I can could to 10.” By focusing on your wins, you’ll set yourself up for future success. It may seem like a good strategy at first to set really high goals for yourself to help push you to success. However, if you set unreasonable goals, you risk missing out on the little successes along the way and could hurt your overall goals of being fluent in a foreign language. Small goals build into larger goals, but if you don’t feel you have enough of them, you may feel like you’re not making any progress at all and will end up leaving your language learning program before you make significant progress. What interests you? Many people make the mistake of focusing on the traditional, boring texts when it comes to learning a language. However, that’s a mistake. Instead, focus on what you find to be interesting. If you’re into movies, watch cinema in your target language. If you like cars, read magazines on cars in your target language. If you’re into cooking, try buying a cookbook in your target language. This way, every step towards fluency is also another step towards things that interest you. You’ll be more involved and will readily approach your content ready to learn. Does your friend know three languages? How about that blogger that’s learning his ninth, tenth and eleventh language, all at the same time? And what about your cousin who was basically born bilingual? None of that matters. You need to focus on your success if you’re going achieve fluency in your target language. While it’s certainly motivating to know that other people have accomplished what you’ve set out to do, if you continuously compare yourself to them, you may end up beating yourself up over minor setback or slower progress. Instead, focus on your goals and your achievements. You can look to others for advice, but remember, it’s not a competition. Do you look at people in foreign language classes and wonder how they’re able to succeed? Or even how they can stand it? And what about people who use language learning apps? There is no one true method to use for learning a foreign language. Don’t force yourself into a program that isn’t right for you. If you’re looking for a quick way to learn Spanish, then search around and find the best program that fits your individual needs. If you don’t, you’ll end up frustrated trying to force yourself to fit into a mold that’s not right for you. Hard work deserves reward. If you’re studying and practicing regularly in your target language, then having a system in place that rewards that behavior is crucial for success in learning your target language. It’s even better if these are language-based rewards. For instance, after reaching a certain number of hours into study, watch a movie in your target language or go out to eat at a restaurant and use only the target language to order. You’ll have fun and see the results of your hard work. Being disciplined will be one of the hardest strategies to implement, especially if you’re learning a foreign language on your own. The more disciplined you are, the more likely you’ll be to see results. Begin by setting a specific schedule. Say you want to study 30 minutes a day for six days a week, then make sure you set time aside to work on developing those skills. One important note to keep in mind, make sure you dedicate that time specifically to language learning. 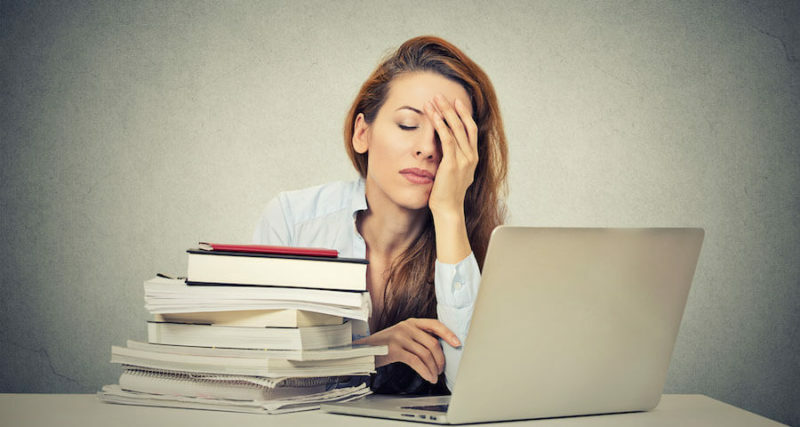 If you allow distractions to slip into your study time, you may find that you’re only using 10 or 15 of those 30 minutes on actual language learning while the rest is spent answering emails and texts or worse, getting lost on the internet and in social media. Focus on dedicating a specific amount of time to language learning every single day and don’t let anything distract you during that time period. You can’t fake motivation. It has to come from within and you have to believe it, otherwise, your initial zeal will fade and fall apart. The best way to stay motivated while learning a foreign language is to take a step back and really try to figure out how to make sure you get the most out of your experience. Fluency doesn’t have to be a dull grind. It can be an incredible journey. Your lessons don’t need to be forced; they can be the highlight of your day, an escape from the day-to-day as you reach for something greater. By staying motivated, you can quickly make progress on your journey to becoming fluent in a foreign language.